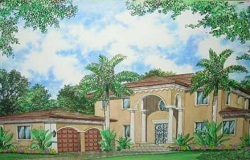 New construction homes in South Miami are an attractive option for buyers looking for a new home under $1,000,000. While the prices of new construction homes in South Miami are often significantly lower than in Coral Gables, Coconut Grove, Ponce/Davis or Pinecrest, the number of new construction homes for sale in South Miami is usually fairly limited. TIP: Let us know what you are looking for so you can be one of the first to know when a great new home in South Miami does become available.